The national University football league will have to wait for another week after the organizing committee pushed the kick off to next week. According to Anthony Tumwesigye, the league manager, the organizers have not yet finalized with the sponsors and other stake holders. “The league will not be starting today as earlier scheduled since we want to finalize with a few things that will bring in better attractive action this season”, confirmed Anthony in an exclusive interview with Soka25east.com. Defending champions Kampala University were scheduled to kick off with a visit to the maiden winners and last season fourth placed Makerere University in an anticipated thriller as the two sides chase their second title. 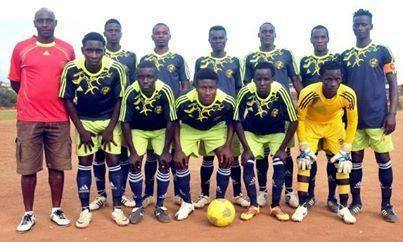 The Ggaba based University bagged a 1-0 win at Makerere before MUK retaliated with a 3-1 at Villa Park. Both sides lost over half their to Super league clubs while other players are left out since big league players were banned from taking part this season. Kampala University won last year’s League on the final day as they defeated Mbarara University of Science Technology before their title chase rivals Nkumba losing to Makerere University in their home backyard. 10 universities will tussle out this season including Kyambogo that had been suspended and new comers Ggulu University while IUIU and UCU opted out since the league is sponsored by an alcoholic company, opposed to their religious beliefs.